How To Insult And Offend Legislators In One Fell Swoop! I am more convinced than ever that there are people in Delaware who are hell-bent on demolishing the Delaware State Education Association. The resignation of Mike Matthews over old blog posts was just the opening salvo. This is an all-out war on the teachers union in Delaware. 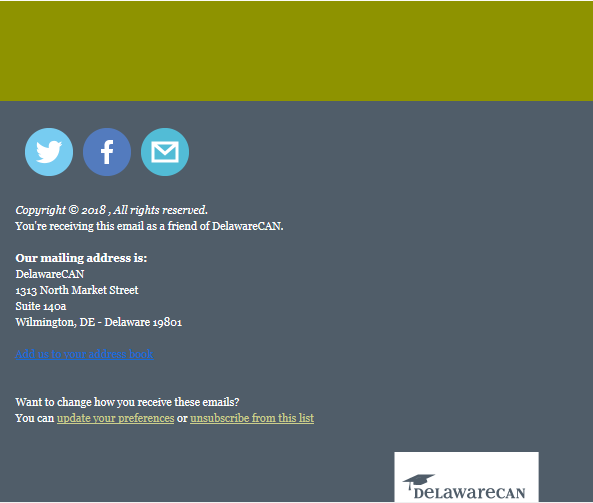 How Did DelawareCAN/Atnre Alleyne Get A “Public List” Of Private Emails? Rookie PAC For DelawareCAN Breaking The Law Already! What Is The Purpose Of A Delaware Secretary Of Education? State Rep. Earl Jaques showed off his “Big Man on Campus” persona in an embarrassing display of supposed power today which he may be wrong about. Advocates for any opt out bill in Delaware knew there would be opposition. Those of us who have advocated for a bill which codifies and honors a parent’s right to opt their child out of the state assessment knew this going in. However, hanging your hat on a superficial and made-up procedure the way Delaware State Rep. Earl Jaques did is shameful and embarrassing. State Rep. John Kowalko, the primary sponsor of the bill, was composed and polished today. There was no back and forth between himself and Jaques as there was two years ago. House Bill 60 was not released from the House Education Committee. With only eight out of seventeen members voting to release the bill, Jaques declared the bill dead. However, there is a big caveat to his declaration. Although there were 12 members on the floor, the committee is made up of 17 state representatives. Five bills were heard in committee today. For the other four, Jaques indicated he would walk the bill to the members. For the opt out bill, he said he would not release the bill since there was a majority of members on the floor during the vote. State Rep. Sean Lynn called for a parliamentary inquiry on the matter. There is a chance Jaques could be overruled on his refusal to walk the bill for signatures and it could be released. However, Jaques absolute disdain and contempt against this bill is clouding his better judgment. He set the precedent for this by agreeing to walk the other four bills in my opinion. After the committee adjourned the second time (since Jaques declared the meeting over a first time without asking for or getting a motion to adjourn), I spoke to him in the lobby of Legislative Hall. I said “Earl, you have to walk the bill.” I wasn’t angry, I wasn’t upset. He began yelling at me and said “The bill is not released.” I asked him why he was yelling at me and advised I wasn’t yelling at him. He continued to yell and said “The bill is not released. It’s done. The bill is dead,” as he stormed off. About fifteen minutes later, I found myself in Speaker of the House Pete Schwartzkopf’s reception area. In the office were Secretary of Education Dr. Susan Bunting, Meghan Wallace, and Jaques. The receptionist said there was a wait and I advised I would just send him an email. The email is below. In terms of the discussion on the bill in committee, it was very much a repeat of 2015. The usual suspects opposed the bill: Delaware DOE, State Board of Education, Delaware Business Roundtable, State Rep. Tim Dukes, a couple of women from Wilmington who were sitting next to DelawareCAN’s Atnre Alleyne, etc. Even the Delaware School Boards Association opposed the bill because they believed it is a local decision and detracts from the issues surrounding testing. There was a lot of discussion around losing federal funds even though it has never happened. The excuse this time was “We don’t know what will happen with Secretary Betsy DeVos.” I love when a State Rep. has something important to say about a bill they oppose after they get a piece of paper from someone in the audience, but I digress. There was talk about how bad Smarter Balanced is, the amount of time wasted on testing, and so forth, but there was far too little about the heart of the bill: the parental right to opt out. No state has ever lost federal funding over dipping below the 95% participation rate. And I don’t think little old Delaware would be the first. If the feds really put their money where their mouth is, it would have happened in New York or New Jersey years ago. So I don’t care what they say (and no one is actually saying it these days), it is not a good idea to cut federal Title I money from schools with poor kids. Secretary Bunting did say Delaware got feedback on its state ESSA plan last evening and believes the US Dept. of Education will be tougher than she thought, but as a state with a 97% participation rate, I don’t think we are on the Title I money chopping block. Let’s get real here. To be fair, I don’t ever expect the Delaware DOE and the usual cast of opposers to ever support an opt out bill. It just isn’t going to happen. Expecting it is as likely as convincing the wind to change direction. It isn’t something I’m even upset about anymore, it just is. My public comment was as simple as the bill: it is a parental right bill. And since there was a question about what districts or charters have given parents a rough time about opting their child out, I named them: Red Clay, Christina, Freire Charter School, and so forth. I even advised Rep. Dukes a constituent in his own district tried to opt their child out two years ago, the only one in that school district. When the school refused, they told the mother he could not opt out. It got so bad the mother was ostracized by members of her community. After, Dukes came up to me and told me he didn’t appreciate me calling him out. He asked me which district, and I told him which one I believed it was. He said “you don’t know?” I said it was two years ago and I talk to a lot of parents. He said next time I better know before I call him out like that. I advised him the parent tried reaching him at the time and he claimed he never heard from the parent. One public commenter said he wasn’t even there for that bill but felt he had to comment. He said, as someone who makes six figures and works for Fortune 500 companies, he has never looked at a single standardized test score. He said if a college student in an interview told him they opted out of the state assessment, he would give them an internship based solely on that. Good evening. I attempted to see you in person, but you had a long line in your office about half an hour ago. I advised your receptionist I would email you, which I prefer to do at this point since it is in writing. As you are no doubt aware, I am very passionate about education. But I have calmed down with my public comments regarding certain legislation. I wish the same could be said of the Chair of the House Education Committee. The behavior I saw from him today regarding House Bill 60 was offensive, both as a citizen of Delaware and as a parent. I am sure you know about the situation with “walking the bill” after Rep. Jaques set the standard for that with four other bills in the committee today. It was very obvious to all he wanted this bill to die a messy death and he wanted to be the one to do it. That is conjecture on my part, but based on his attitudes and attempts to kill the bill in 2015, I would say that is a fair assessment. But his behavior in the lobby of Legislative Hall was unacceptable. I simply said “Earl, you have to walk the bill.” He began yelling at me, loud enough for many folks nearby to overhear. When I asked him why he was yelling at me and that I wasn’t yelling at him, he continued to yell at me claiming “the bill is dead” and stormed off like a petulant child. While I certainly can’t say I have never shown anger about legislation, I believe a certain decorum is expected out of our elected officials. I don’t agree with Earl’s decision about deciding not to walk the bill, but I have to believe two grown adults can treat each other with respect and discuss the matter like two gentlemen. I wanted to advise you of this issue because of his position as Chair of the House Education Committee. Please consider this a formal complaint against Rep. Jaques. I do believe this is something the House leadership should investigate. I would have accepted a decision on the bill if it was given a fair shake, but I found Rep. Jaques behavior and conduct unbefitting for a Chair of a committee. As I’m sure you know, I am a firm believer in transparency, so this email will be a part of my article about the opt out bill heard in committee today. A University of Delaware class called Documentary Production produced a video called “The Deed: Fixing Education In The First State”. The cinematography of the video was good, but I feel it should have been renamed “Fixing Education In Wilmington” because that was pretty much what the video was about. It gave a good history of segregation before 1954, but after that it focused solely on Wilmington. But I found the stereotypes to be a bit too much. The video primarily focuses on two Caucasian mothers. One is in what appears to be a classroom, and the other is out in the suburbs in a very nice home. When they do show African-Americans (aside from Tony Allen), it is primarily urban Wilmington. As if there are no African-Americans in the suburbs. The TedX Wilmington videos shown in this are from Tony Allen, the Chair of the Wilmington Education Improvement Commission, and Dr. Paul Herdman, the CEO of the Rodel Foundation. Other folks shown in the video are Dan Rich from the University of Delaware and one of the main WEIC players, Atnre Alleyne from DelawareCAN and TeenSHARP, and Brandywine Superintendent Dr. Mark Holodick. There are cameos from Delaware Teacher of the Year Wendy Turner and the not-even sworn in yet Christina Board Member Meredith Griffin Jr. Here is a newsflash. There are 19 school districts in Delaware. Up and down the state. I love Wilmington, but if you are going to make a video called Fixing Education In The First State, you have to focus on the whole state. This was one of the biggest mistakes WEIC made, focusing on Wilmington and expecting the rest of state to pick up the tab to fix Wilmington issues. Yes, Wilmington is the biggest city, but many issues with poverty and low-income exist all over Delaware. Like most discussions about “fixing” education in Delaware, we go through the history and the present situation. Add some current events like the upcoming Colonial Referendum to make it current. 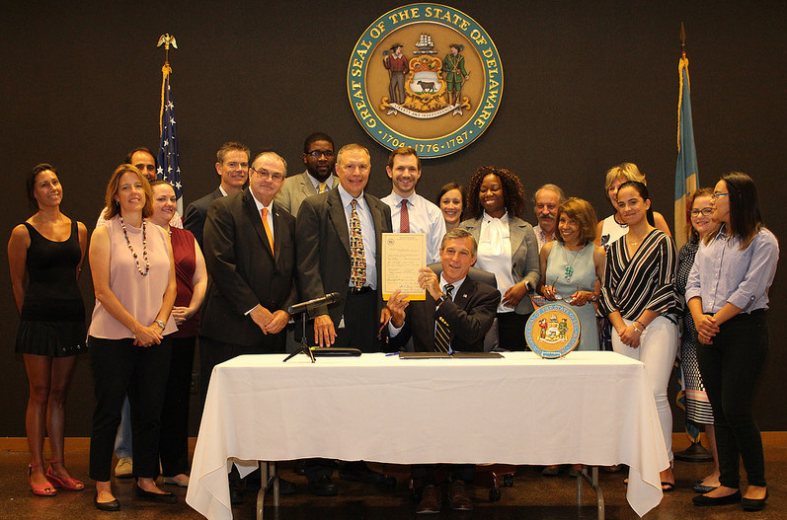 Show some shots from a WEIC meeting a few months ago when Governor John Carney and Delaware Secretary of Education Dr. Susan Bunting attended for some extra oomph and importance. I recognize segregation in Wilmington schools and what school choice has done to Northern New Castle County as major problems in Delaware. But there are other equally important issues, only one of which was briefly touched on in the video- education funding. We also have special education with a rapidly growing population of students with disabilities, standardized testing, a growing population of English Language Learners, a General Assembly that generally makes some very bad choices for our schools, bullying in our schools,the continued fall-out from the Race To The Top accountability era, a State Auditor who doesn’t audit school districts every year even though that office has to by state law, referenda, a new Governor that is putting a ton of cuts towards school districts (but not charters), the Rodel Foundation’s stranglehold on decisions made in education, data mining of personal student information, and the upcoming and very real threats of competency-based education, personalized learning, an eventual replacement of real teachers with glorified moderators instead in a digital technology wonderland, and the upcoming Blockchain technology which will institute a full-blown “digital badge” scenario, tracking children from cradle to grave and predetermined careers and what their societal worth will be. And yes, even Social-Emotional Learning is in the process of getting hijacked by the corporate education reformers (more on that soon). Many of these things aren’t on the radar as much as they should be. We are still bickering over how to “fix” education but we are stumbling with talking about what is right in education. We are in a constant state of flux, in a state of constant improvement. This obsessive need for improvement is actually what is fracturing education the most in Delaware. The problem comes when we try to measure all these changes by one standardized test. For an eleven minute video, it would be impossible to catch all the issues in Delaware education. But showing very old videos of Tony Allen and Paul Herdman don’t do much for me. Most Delawareans really don’t know who the two of them are. Just because they have a TedX stage doesn’t give them more importance than a teacher giving a lecture to a class or a parent giving public comment at a school board meeting. Those are actually the voices we need to hear more of in Delaware education, the everyday citizen. Not a CEO of a “non-profit” making over $344,000 a year or a well-meaning Bank of America executive. Don’t get me wrong, I think Tony Allen is a great guy, but it has become more than obvious that WEIC isn’t heading towards the destination it dreamed of and it is time to move on. As for Dr. Paul “Rodel” Herdman, I have never been shy about my dislike of his “visions” for Delaware schools that have its roots in corporate profit. We need to focus on what is going right in Delaware education and build from that. It begins at the grass-roots level, in the classroom. For that, the student and teacher voice are the most important. And then the parent. We go from one reform or initiative to the next, and the cycle goes on and on. Atnre Alleyne came out with a blog post this morning supporting a Governor Carney idea where Delaware rates schools with stars. Of course he did! I don’t care what you label them with: stars, letter grades, numbers, or rocket ships. It all translates to a comparison between apples and oranges. What I find most ironic about Alleyne’s post is how self-serving this is for him. As the guy behind Delaware Can, any school labeling further perpetuates the myth that companies like that thrive on: label, shame, and punish. 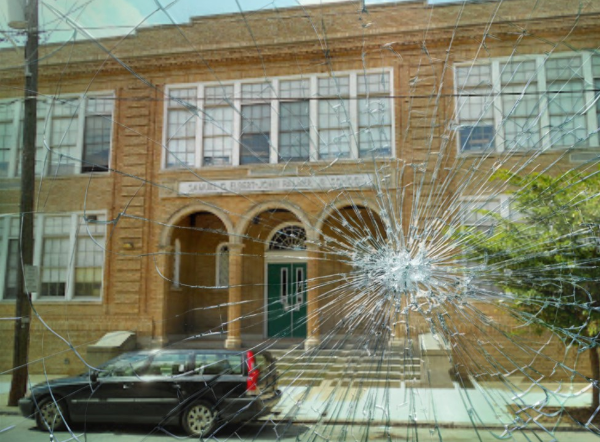 Alleyne’s personal war against the Delaware State Education Association is filled with holes and misdemeanors! I thought I would pick apart a few of his “facts” and “myths”. Thousands of Delawareans responded to the Delaware Department of Education’s 2014 survey indicating they want school performance ratings. When you come out with a survey that doesn’t even ask the question “Do you think Delaware should have school performance ratings?” and you continue that survey with questions about those ratings, I don’t think it is fair to say that means “thousands of Delawareans” wanted this. The survey predetermined the school report cards was going to happen (as required by federal law) but that in no way to translates to the citizens of Delaware demanding this system. And who led that band of public education marauders, disguised as organizations wanting to help public education? Who corralled and convinced these 24 mostly non-profits who would benefit from what Alleyne wants? Who was also on the Governor’s Advisory Committee for the state ESSA plan and in a position to leverage his agenda? Yes, none other than Atnre Alleyne. MYTH: School ratings are more of the type of “testing, labeling, and punishing” we do not need in our schools. Yes, they are. Given that the weighting of these report cards is over 50% towards results from the Smarter Balanced Assessment so carefully masked as two different categories: growth and proficiency, it most certainly is a testing, labeling, and punishing apparatus. Today, federal law requires that we identify and “label” the bottom 5 percent of schools in our state. The school report cards to which the Department has committed renames those schools – from Priority and Focus schools to Comprehensive Support and Improvement (CSI) and Targeted Support and Improvement (TSI) schools – and continues its support for these schools with access to more money and assistance. That’s not punishment. It’s being honest about where and how we need to help our schools. A label is still a label even if you change the wording. I love the word “Targeted” because that is exactly what this system does. Jack Markell loved this and apparently Governor Carney does as well. U.S. Secretary of Education Betsy DeVos seems to be backing away from a federal accountability system and leaving it up to the states. Governor Markell embedded that system into Delaware and our whole education system is based on this. Alleyne, who used to work for the Delaware Dept. of Education, is very familiar with this system and knows exactly what it is meant for. It’s also important to remember that growth measures, which take into account how much a student’s performance has grown over a school year, also benefits schools with higher performing students in ensuring they help their students grow, as well. Okay, this is the part that absolutely kills me! If a school has higher performing students, i.e., the average proficiency on SBAC is 3.87 out of 4, that does not leave much room for growth. But the illusion of having a growth goal of students reaching a 3.9 proficiency is not out of the ballpark. It is doable and can certainly happen. Take a school with a high population of low-income and students with disabilities, where the average SBAC proficiency is 1.24 and the growth goal to proficiency is 2.0, the whole system changes. The work needed to get to that score, with more challenging students with much higher needs, multiplies at an exponential rate. The odds of that school reaching that goal are much lower than the “high-performing” school that only needs to go up a tiny bit to reach their growth goals. It is comparing apples and oranges. MYTH: If you give schools a rating parents are just going to use that single rating to judge schools and ignore all the other information about a school’s performance. This is an exercise in futility. This is the difference between the “haves” and the “have-nots”. The “haves” will utilize this system to find the “best” school for their child. Many of the “have-nots”, who in many cases aren’t even aware a system like this even exists, will simply send their child to the local neighborhood school. In the midst of this landscape we have the issue of school vouchers coming to the front burner. So much so that the feds are willing to dump all this truly bad accountability crap out the window in favor of a voucher system that will make private schools the next big thing. For reasons they aren’t saying, this will be the cushion for students from wealthier families for what happens next. See more on this later. Our goal, as advocates and policymakers, must be to equip parents and taxpayers with school quality information that is easy to understand, fair, and consistent. Notice Alleyne uses the word “Our”, as if he is the man behind the curtain waving the magic wand that mesmerizes his audience into taking his every word as the Gospel truth. For a guy that makes a living based on the very worst of corporate education reform Kool-Aid disguised as helping disadvantaged students, I encourage all Delawareans to take what he says with a grain of salt. Having met Alleyne in person, he is a nice guy. But his education policy and what he advocates for causes alarm bells to go off in my head. I get why he does what he does, but he is just another victim of the bad education policy that is fighting for its last legs in the new era of Trumplandia. I completely understand that he wants better education outcomes for minority students. I do as well. I also want that for students with disabilities and English Language learners. It is the way Alleyne wants this that bothers me. If society as a whole has not learned the valuable lesson that the continued use of high-stakes testing is just plain bad for public education, than folks like Alleyne will continue to spread their “myths” and “facts”. I say opt out of not just the high-stakes testing but also opt out of false edu-speak that exists to sway parents of student populations and trapping them in a system where testing reigns supreme. What’s Up With All The Teacher Union Hate? If there is one consistent question I’ve been asked by parents who seek to understand this system of high-stakes tests it is this: if we don’t use these tests how do we measure how our schools are doing? It’s a damn good question and I won’t pretend to have the answer. I have always suggested that a student’s classroom grades are more of a true measure than these once a year test scores. I don’t believe in students going on to the next grade if they aren’t ready. That is when parents need to carefully watch their child’s progress. It is not the end of the world if a student is held back. We need to also trust our teachers that their years of preparation and continued training serve to benefit our child’s success in education. If you have doubts about a teacher’s effectiveness than certainly question it. I believe it is our sacred duty to do so. But when we are given lie after lie about teachers from these education think tanks about how bad unions are and how they only want what is best for them, we have to recognize the truth: these companies do NOT want teacher unions to exist at all. They don’t like the idea of teacher’s organizing on behalf of themselves because it takes away from their profit-making ventures. The sad part is how so many parents actually believe these horrible lies about public education. So when unions fight against these bad policies they are immediately painted as the villain in articles like the one Alleyne wrote today. Don’t get me wrong, I don’t think the teacher unions are perfect. But I don’t think any organization, school, parent, student, or state agency is perfect. But there is a clear difference between offense and defense. I see corporate education reformers as a vicious marauder into areas where they have no business being in. The predictable result is teacher unions going on the defense against these schemes and agendas. The only way to fight a bad system is to ignore it. This is why I have always defended a parent’s fundamental and God-given right to opt out of these silly little standardized tests. I refuse to give them the clout these companies think they deserve. I would rather hear the word of the teacher in the classroom who is on the ground floor watching the colossal waste of time these tests have. They are expensive, take up true teaching time, take up school resources, kill libraries during testing time, and the results serve no true purpose. If you haven’t opted your child out of the Smarter Balanced Assessment this year, please do so now. Even if they are already in the middle of testing. When many parents get the Delaware DOE suggested letter from the school about how opt out is illegal and the school can’t allow it, treat it as fire-starter material for a fire-pit in your backyard. Just write a letter to your child’s school stating you are opting your child out of the Smarter Balanced Assessment, hand it to the principal, and state there is to be no further discussion on the issue. If they attempt to dissuade you, give a pleasant “thank you but no thank you” and stand firm on your decision. What Is A Governor To Do Facing A $385 Million Dollar Deficit? For Delaware Governor John Carney, he faces a crucial moment. He has to make cuts in the state budget. There won’t be easy choices, but one should be a no-brainer: get rid of the dead and expensive weight at the Delaware DOE and get rid of the Smarter Balanced Assessment. 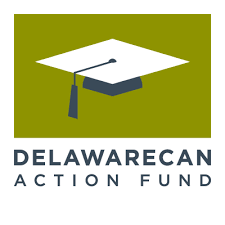 Sever the ties between the Delaware DOE and these “non-profit” for-profit education companies. If that means getting rid of DOE employees whose sole existence is to continue what amounts to lobbying off the backs of children, just do it! We see this in agendas like Delaware’s “Pathways to Prosperity” program. I attended Governor Carney’s Inaugural ball. All the food was prepared and served by students in the culinary program. The food was awesome. But did any of those students who prepared this food get paid for their servitude? I highly doubt it. I have no doubt they received some type of education credit for their service while the State of Delaware says “thanks for the cheap labor”. Or what about these “coding schools” where students pay thousands of dollars to train themselves on coding while at the same time doing work for very big companies through the training material? Our students are nothing more than fodder for corporations. They are the true victims in this new world and are being used by those whose biggest concern is if they should get the surf-and-turf or just the filet mignon at their next country club dinner. My Take On The Bizarre DSEA Election Results. Did Two Wrongs Make A Right? In the shot heard round Delaware teachers email yesterday around 4:00pm, the Delaware State Education Association election results came in for President and Vice-President. Shock followed shock. Mike Matthews and Karen Crouse tied for President at 862 votes each. Stephanie Ingram (not Ingraham) won the Vice-President position. Some (including myself) are crying foul. Matthews and Kook ran as a ticket as did Crouse and Ingram. Logic would dictate that Matthews and Kook’s votes would align more with Matthew’s total. But this was NOT the case. Ingram won with 400 something votes while Kook had 300 plus. First off, with 12,000 teachers in Delaware, why did only 2,100+ vote in this election? That is my biggest concern. Second, how the actual hell do you get a tie? Off the record, I have heard DSEA did not want the powerhouse of Matthews/Kook ruling the teacher union halls in Delaware. Did things happen? Of that I am certain. 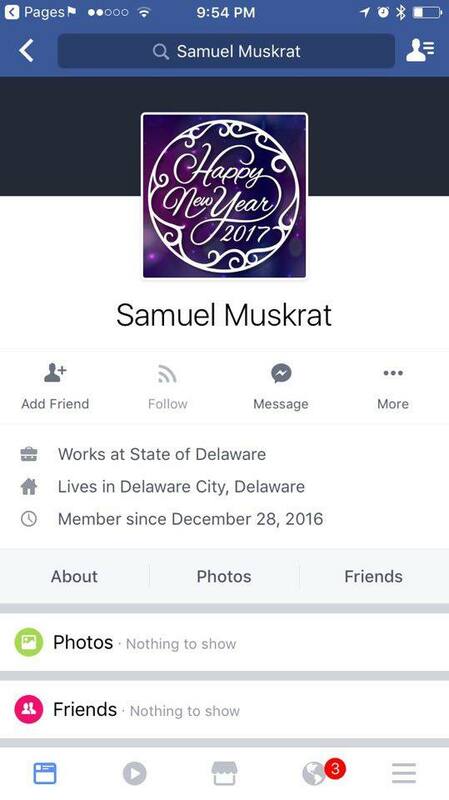 When an obvious fake Facebook account with the not-so-genius name of Sam Muskrat showed up at the same time as the election went into full swing, I paid very close attention to the writing style of the you really aren’t fooling anyone Mr. Muskrat. I’ve seen that style before. With another anonymous commenter somewhere else. I won’t out the person, but I can promise you it is NOT Publius from Kilroy’s Delaware. That guy is probably sucking down some Shirley Temple’s in his batcave. The next big question surrounds the ballots. There were mentions on social media of teacher’s getting the ballots in their spam folders. While the plausibility of that is suspect if it was coming from DSEA (do all DSEA emails go to spam?). If it was an outside company, such as Intelliscan, based out of Phoenixville, PA, I could somehow see that. Some teachers reported not receiving any ballots. Some did not know who was running, or actually know some of the people running (to them I would say “Hello! This is the future of your teaching profession calling, wake up!”). I’ve heard that campaign literature was suspect in certain situations. While there is nothing against the DSEA rules about the President endorsing a candidate, Frederika Jenner made it transparently obvious who she wanted. And that person wound up tying and is not a man. And her VP choice won as well. Crouse would not have won if it weren’t for Kent County. Which I find ironic considering her popularity in certain places. I don’t mean to bash her. I’m sure she is a fine person. But there is something VERY shady with this election. I’m sure the current DSEA crew will get offended I posted this. First off, too bad. Second, you can sit there and say it isn’t my business but I choose to make it my business and you can’t stop me. We live in a country where Donald Trump is President so I think any rules went out the window last November! So what happens next? Some more ballots could come trickling in by Monday (since it is soooooo possible for something postmarked 1/23/17 or earlier to take a week to get to Dover in our huge state). 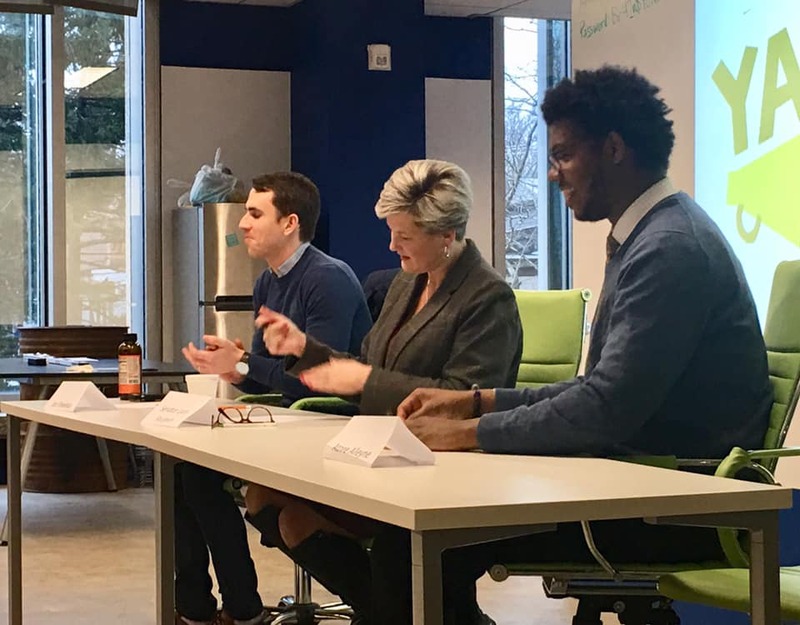 There could be a run-off election if it remains a tie, in which case Presidential candidates Danny Rufo and Dom Zaffora’s votes would go to either Matthews or Crouse. Or another option could be the tie remains and the Executive Board at DSEA would vote on a winner. Which would, in all likelihood, be Crouse. Since these election results are not part of an official state or county election, DSEA is under no obligation to release the full results to the public. A teacher’s union is a private organization. If I were Matthews or Kook, I would be issuing a challenge right away. Something doesn’t smell right. I could, of course, be wrong. But I would err on the side of caution in just blindly accepting these results. 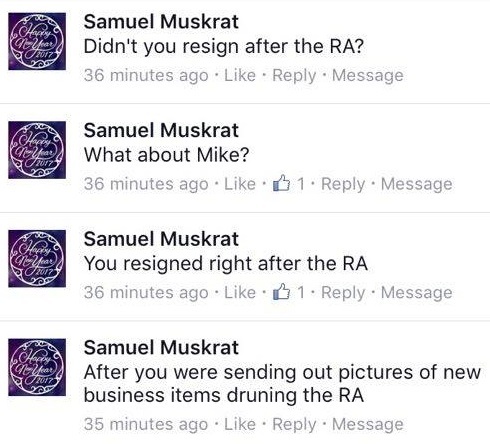 While this potential mystery starts to get some heat, feast on the famous Samuel Muskrat posts, from an anonymous person whose Facebook account was created the VERY same day Matthews and Kook had a live Facebook feed answering questions. And disappeared the next day. Yes, I am the Kevin this Samuel Muskrat is referring to. This kind of makes it my business now! I will fully admit I am not the most popular person in the executive offices of DSEA. Once upon a time the stars were in alignment around the time I wrote a huge article on the Rodel Foundation of Delaware, but I burned that bridge with them during the whole House Bill 50 veto override fiasco when I called out DSEA (very strongly I might add) with a twinge of regret. I don’t regret calling them out on their non-support of the override but rather how I did it. I apologized, but while some accepted that apology, some were less than cordial with me. In fact, one of them decided to viciously attack me many times somewhere else. That person knew I knew that when I commented on the above Facebook comment bringing me into it. I dropped a couple of words in my comment which vanished as soon as it appeared. Muskrat knew I had them and ran for the hills. Muskrat seemed to know a lot of things about Mr. Matthews. Things your average teacher would not know unless they were really involved with DSEA. But the tone and attitude, and especially the reference to me, shows a personal beef. Trolling is one thing. Going on Facebook during a candidate forum and disguising yourself when they are potentially a staff member of DSEA is another thing entirely. Like I said yesterday, shenanigans with this election. Both Mike Matthews and Jackie Kook are well-known in Delaware as teachers who will really fight for their causes. This doesn’t mean they won’t sit down with you, but it also doesn’t mean they will swallow the Kool-Aid which happened so many times in teacher matters involving the Delaware Dept. of Education, the General Assembly, and yes, even DSEA. Most recently, Kook ruffled feathers with the teacher evaluation bill last Spring. It wound up getting Senator Sokola amendments attached to it. 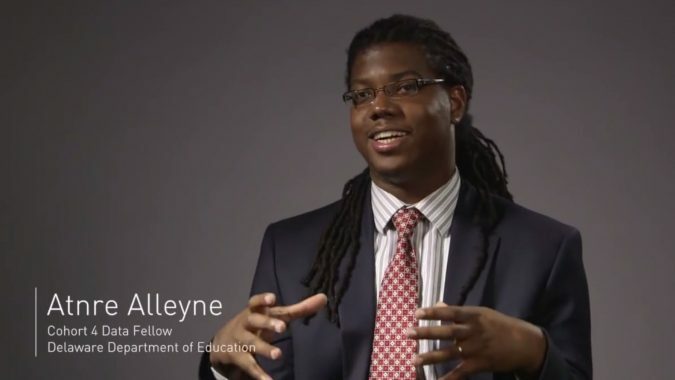 A large part of that was the insertion into the process of former DOE employee Atnre Alleyne, now promoting his role as Executive Director of DelawareCAN which is an offshoot of the corporate education reform company 50CAN. Another big part was a letter from the DPAS-II Advisory Committee Chair Dr. Susan Bunting. Bunting was confirmed by the Delaware Senate three days ago as the new Delaware Secretary of Education. But neither of them are Sam Muskrat. In Delaware, if you aren’t calling out legislators here and there, than democracy really isn’t taking place. And some really shouldn’t throw stones like that because the hypocrisy involved is astounding! But I guess many wrongs make a right?